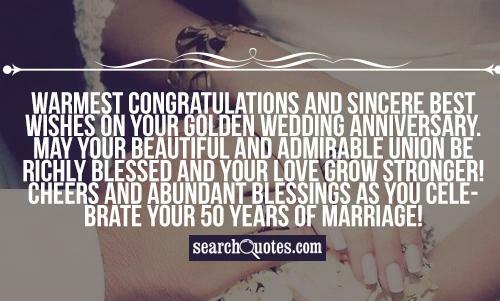 Showing search results for Congratulations Anniversary Quotes, Quotations & Sayings 2019. Happy Anniversary to the one I'll always want, even when I'm too old to remember what I'm supposed to want you for. You are truly a blessing from God. Thank you for being my partner, spouse, lover, and friend. Happy Anniversary. 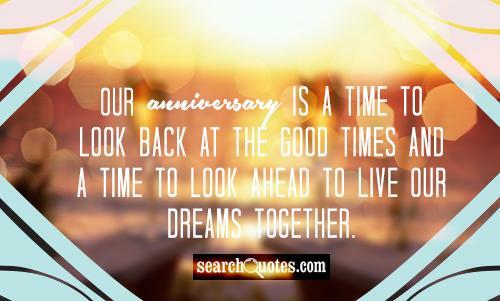 One by one each year flew by, since you both said 'I do' 25 years of memories, shared by the two of you. From big events and holidays, to simple daily pleasures. Some tearful times along lifes way, some joys that cant be measured. One by one each year now gone, but still theyre yours forever each and every memory, of a quarter Century together! Happy Silver Anniversary. I would like to congratulate both of you on your 25th wedding anniversary. May God bless you and fill your life with more love and happiness. Scientists have discovered that the longer people stay married, the more they begin to look alike. After 25 years you better start putting name tags in your underwear. Happy Anniversary. In 25 years together you've shared so many things. 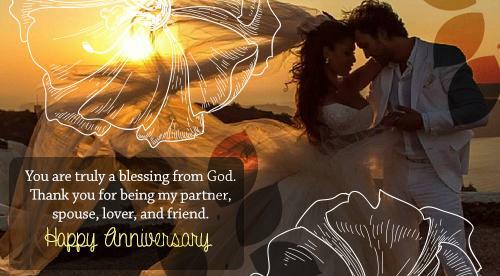 That's why this very special Anniversary brings to you, a wish that love, laughter, joy, contentment too. Will be yours to share throughout the years ahead of you!